Vegan foods can get a bad rap for being bland and tasteless. In the Western world, meat has become a predominant part of every meal. Many people have become so accustomed to the salty, fatty flavor offered by animal protein that they find it difficult to imagine how a person could subsist on a diet of vegetables and legumes alone. Using a vegan spice guide to add the appropriate spices to a dish can mean the difference between cooking that keeps you coming back for more, and boiled, lifeless veggies in a pot. Not only does it add depth and flavor to vegetables, but using herbs and spices in vegan cooking can also open up a whole new world of opportunity to be creative in the kitchen. When my partner and I transitioned to a plant-based diet and lifestyle, we stopped eating meat cold-turkey (pun intended). 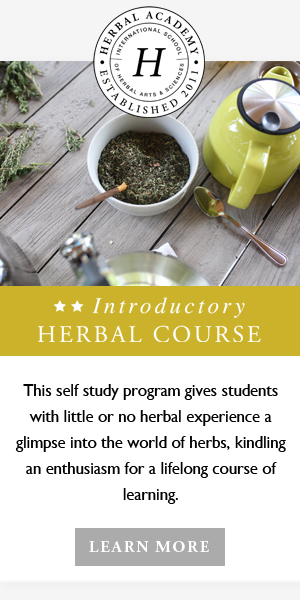 Learning to cook with a variety of herbs and spices from the get-go allowed us to be creative in the kitchen and get to know and understand the types of flavors that went well with the foods we were now eating on a regular basis. We both became familiar with combining spices such as cumin, turmeric, garam masala, ginger, garlic, salt, and pepper, for example, to create a spice blend to cook down with onions to form the base of a curry dish. One of the first things we did when we went vegan was to prepare a vegan spice guide: a list of the essential spices we would always have in our pantry. We opted for organic spices stored in mason jars for easy cooking. Now, we cannot last long when we run low on cumin, turmeric, or nutritional yeast. Taking the time to develop a vegan spice guide and using it to stock our pantry has been integral to our success in transitioning to plant-based eating and helping us to make some beautiful, healthful meals within the comfort of our home. It can be overwhelming to know which spices to include in your pantry, especially if you are beginning the journey of home-based vegan cooking. With new vegans in mind, I created this vegan spice guide which will walk you through 8 essential spices which can jazz up any vegan dish. Turmeric tops the list as one of my favorite herbs in my vegan spice guide. I’ve written a whole post about this beautiful spice. Turmeric is a prominent spice in Indian dishes such as curry and dahl. Turmeric also has many health properties, which make it a must-have in the kitchen. At this point in our vegan journey, we add turmeric to everything. It has a slightly bitter taste; however, it pairs well with other herbs such as ginger, garlic, and cumin. Cumin is one of the most versatile herbs in our pantry, which make it a must-have for my vegan spice guide. Cumin makes a great base for most curries. Use cumin seeds fried on medium with some coconut oil for 30 seconds before adding in diced onion, garlic, and ginger for the beginning of delicious curry. My favorite way to use cumin is in homemade veggie chili. Find how to make your own chili spice blend below. Combine herbs together in a bowl and mix well. Store in a labeled, airtight glass jar. Add this blend with chopped onions to a large pot until fragrant and then throw in the remainder of the chili ingredients. Another tip to enhance the depth of flavor in chili is to add a tablespoon of dark cocoa powder to the pot of chili along with the chili spice blend featured above. I’ve only recently become accustomed to using mustard seed in my vegan cooking, and now it is a staple in my vegan spice guide. Mustard seed can be toasted using coconut oil similar to cumin seed which lends a deep, earthy flavor to dishes. My favorite recipe that calls for mustard seed is a take on a traditional ayurvedic dish, kitchari, which you can find here. In this recipe, mustard seeds are toasted along with coriander and cumin seeds until they become fragrant. My favorite part about this recipe is that the mustard seeds dance out of the pot! Another interesting way to incorporate mustard seeds into your diet is to add them with oil and onion to the bottom of a pot to fry. Then I add in some basmati rice and turmeric, covering the rice with oils from the toasted seeds and onion. After that, I cook the rice as usual. This is a simple way to add some interest, color, and flavor to the rice. Although I prefer to use whole, fresh garlic cloves, it can never hurt to have garlic granules in your pantry for times when you’re in a pinch. Even if you are using garlic cloves, who said you can’t double up? If you’re a garlic lover, you’ll find that this spice becomes a part of your everyday life when you’re cooking plant-based meals. Recently, my partner cooked a simple, slow-cooked stew in which he incorporated large cloves of fresh garlic and garlic powder. It was delicious! When you are purchasing garlic powder, opt for the granules as opposed to the powder. The powder tends to stick and clump together over time, whereas the granules remain separate. Before transitioning to a plant-based diet, my only familiarity with paprika was that it was the orange spice sprinkled on top of potato salads or deviled eggs at backyard barbecues. Now, it is a go-to for most recipes. The benefit of paprika is that it lends a smoky flavor to vegan dishes which mimics the savory taste of meat. If it is available where you are, choose smoked paprika over the regular spice. Next in the vegan spice guide is the beautiful spice blend, garam masala. While you can make a garam spice blend (ground coriander, cumin, cardamom, cloves, black pepper, cinnamon, and nutmeg), it can also be easily purchased at your local health food store. Think of this blend as a finisher for curries like chickpea-based chana masala or other Indian dishes that incorporate tomato. Season your curry with garam like you would salt or pepper, just before you serve. Although it is traditionally used as a finishing spice, feel free to add it to mashed chickpea sandwiches with vegan mayo, chopped pickles, and salt and pepper. Bear with me on this one. Becoming vegan requires a level of openness to trying new foods. While you may be hesitant to venture into the realm of spicy foods, I can assure you that it is worth giving it a shot. Adding just a dash of cayenne to dishes like vegan spaghetti can add a level of brightness your dish might be missing. Build your spice tolerance up over time by adding small increments of the spice into dishes throughout the week. Before long you’ll be putting cayenne on everything. Although this might seem obvious, salt and pepper are two necessities in the kitchen. Do not be afraid of using a little salt and pepper in your spice blends as they will help to tie all the flavors together. You do not want to go overboard on salt and pepper. However, I have read that seasoning with a little of each of these seasonings at each step of the cooking process can help to meld individual flavors resulting in a more savory and satisfying dish. Nutritional yeast, or “nooch,” as it is so fondly referred to in the vegan community, is an indispensable component of any vegan spice guide. Though nutritional yeast is not technically a spice, it has quickly become as familiar to us as ketchup in a 1980’s refrigerator. We keep a jar of nutritional yeast on our kitchen table at all times. We use it as a seasoning as we would apply salt and pepper. Sprinkle it over everything from salad to noodles, pasta, and curry. It adds an “umami” flavor which vegans often miss out on when they stop eating rich foods like cheese. Nutritional yeast also forms the basis of many vegan “cheese” sauces and can be used to make a delicious baked mac and cheese. Becoming vegan has added excitement to my time spent in the kitchen. Plant-based foods are often critiqued as being boring or flavorless, but I can tell you that if you begin to experiment with some of the spices in this vegan spice guide, you will find that vegan cooking is anything but dull.